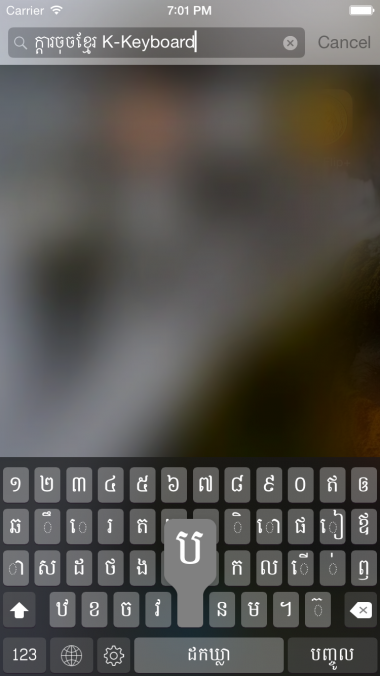 ក្តារចុចខ្មែរ៥ជួរ ដែលស្អាតហើយលឿន | K-Keyboard 5 Row a fast & beautiful Khmer Keyboard for iOS. 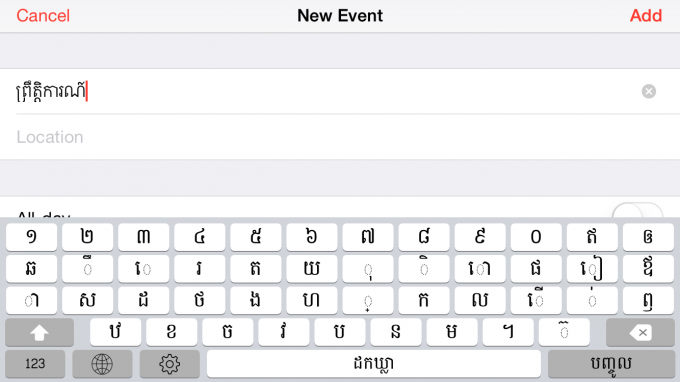 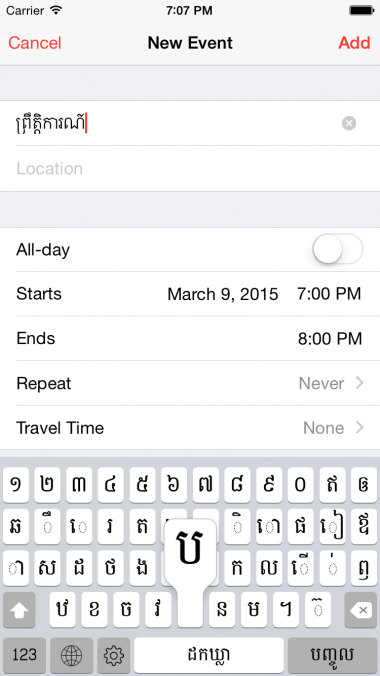 K-Keyboard is an iOS keyboard extension app which is fast & beautiful designed for Khmer input on iOS system. 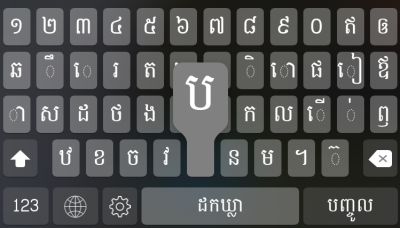 You just simply install and enabled this Khmer language keyboard in the Settings menu or you just follow the instruction inside the app. Note: Please launch the app after finish downloading and install a font that required by K-Keyboard. 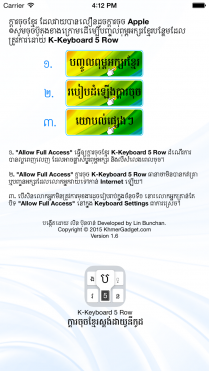 – Added instruction for adding K-Keyboard 5 Row to the system and using K-Keyboard.